No, this is not a polar lion and she doesn't live on the North or South Pole. 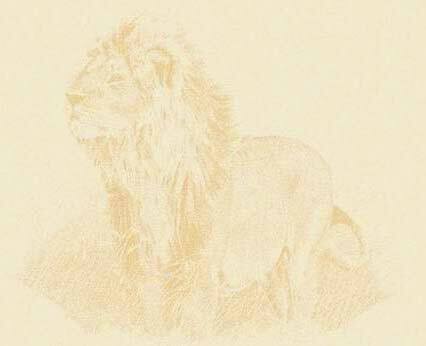 This is a white lion, one of about thirty in the whole world. White lions were first discovered in 1975 in Timbavati, a small reserve adjacent to Krüger National Park in South Africa, which was formed in 1955. Lion researcher Chris McBride was studying lions in Timbavati when his daughter Lan and her son coming in for a visit saw two snow white cubs together with a 'normal' mother lion and a third normal coloured cub. Later another white cub was seen in another pride. The discovery was a sensation. Eventually McBride wrote two books about his researh on the white lions. 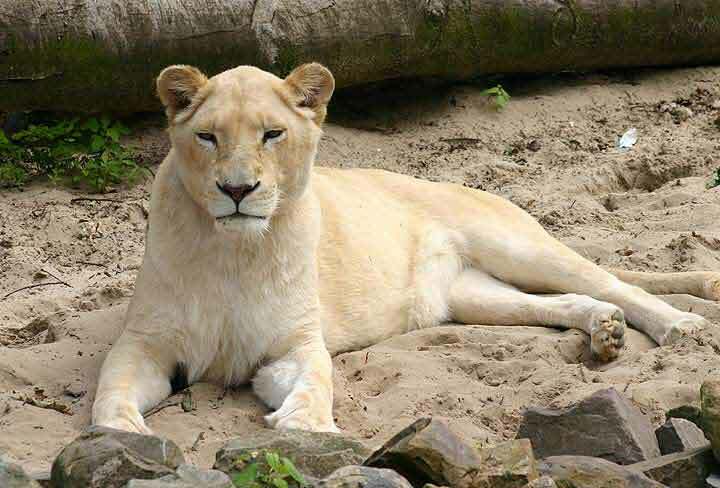 White lions are not a separate species, but have a combination of recessive genes which give them a white skin. They are not albinos. The pictures of the white lions on this website were taken at Ouwehand Zoo in Rhenen, The Netherlands, which keeps a couple of white lions.